1. Go to my Facebook Page here fore more details to win! 2. Comments on the picture, tag one of your friends and list down 5 things that you really like about her. 3. Ask you friend to REPLY to your comment and state 5 things that she really likes about you. 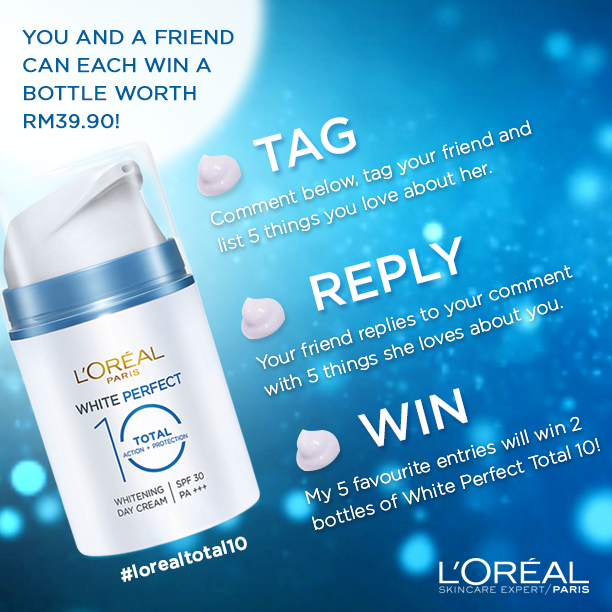 Be quick to sign up here to receive a Loreal Paris mystery gift FREE sample of the L'Oreal Paris all new White Perfect Total 10 product!